What Does The Housing Forecast For 2019 Look Like? In working in the short sale arena for the last five plus years, I have seen lenders do just about everything when it comes to negotiating short sales with home owners. There really is no “standard” in short sales. The way one short sale file at one particular lender is handled can be totally different on the next. One of the biggest reasons for this is that every lender has different investors that actually own the loans. There could be more than twenty five different investors that have interests in loans at one lending institution. So for example just because Bank of America may have done something for a home owner in one circumstance does not mean they would do the same thing for another home owner in the exact same circumstance. More often than not this is because one investor may not have the same needs or requirements as another investor. Cash contribution to the lender at closing. Signing a promissory note to pay back some portion of the short sale debt. A combination of these two things. The biggest consideration for most home owners completing a short sale is debt removal. My goal of course in any short sale is to get the most favorable terms and conditions for the seller which is a complete debt removal. Going back five years ago getting complete short sale debt removal was a lot easier than it is today. Many lenders today want sellers to have some kind of “skin in the game” if they are going to grant a short sale. In my experience the terms that most home owners get from short sale lenders is very favorable. Home owners are typically asked to bring a cash contribution or sign a note that basically amounts to pennies on the dollar compared to what they owe. A typical scenario could be a home owner being substantially under water…..for argument sake let’s say $100,000. It would not be unusual for a lender to ask the seller to bring $5000 to the closing and letting the short sale take place. Another possibility if the seller does not have $5000 is to work out a promissory note. Maybe the lender asks for a$15,000 note to be paid back over the next five years at an attractive interest rate. As mentioned previously it could be a combination of these two options. 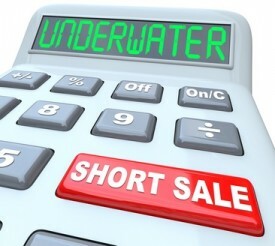 These are just quick examples to give you an understanding of what happens in the short sale world on a daily basis. The seller has money in liquid accounts. The seller has not been late with any mortgage payments. The cash contribution is a requirement of waiving the deficiency (debt removal). The seller has a good credit score and are current with other debt. The residence is an investment property. One of the most difficult parts of going through a short sale as a seller is the long wait involved from the time you get an offer from a buyer until the time you actually begin negotiations with the lender. Sometimes there can be months in between the two. As a seller it is easy to feel in the dark and helpless. There can be times where you will be in this waiting game wondering what the lender is going to require of you and then their request finally comes. They ask you for a cash contribution that you just don’t have. Negotiate to get the cash contribution lowered to something the seller was able to bring to closing. See if the seller can get the funds from a family member or borrow from them. Try to get the lender to accept a promissory note instead. Ask the buyer to pay the cash contribution if lender allowed this to occur. In the vast majority of the short sales I have been involved in we have been able to work it out so a compromise was reached and everyone got what they wanted. 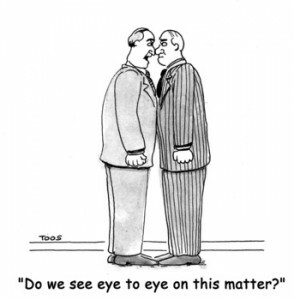 Should sale negotiations can be difficult at times but if you know what your doing common ground can often be reached. What would you need to do in the rare instance where a large cash contribution was required that the owner just did not have and the lender would not budge? If all else fails what you would need to do in the scenario above is to put the home back on the market and build in a cash contribution to the lender right into the transaction. So for example you would add a cash contribution for the lender on behalf of the seller on line 104 of the buyer’s side of the HUD settlement statement. You would also place the same contribution on line 404 of the seller’s side of the HUD as a “Cash Contribution To The Lender”. The payoff amount would then go to the lender. This is how short sale negotiations work with lenders. If you know what you are doing you can usually find common ground. Of course there are numerous things to look for in a short sale contract which I have covered in a number of articles I have written. If you are need to short sale your home or condominium in Ashland, Bellingham, Blackstone, Douglas, Framingham, Franklin, Grafton, Holliston, Hopkinton, Hopedale, Medway, Mendon, Milford, Millbury, Millville, Natick, Northboro, Northbridge, Shrewsbury, Southboro, Sutton, Wayland, Westboro, Whitinsville, Worcester, Upton and Uxbridge MA. I am successfully completing short sales through out the Metrowest Massachusetts and Worcester County areas. So far, knock on wood, I have a 100% success rate for short sale approval! Short sales are specialized transactions that are critical to have the right Realtor representing you. Do not make the mistake of picking an agent that does not understand how to get to the closing table on a short sale. Nationally less than 30% of all short sales close! If you are outside of the Metrowest Massachusetts area and need to do a short sale please feel free to contact me and I would be happy to refer you to a Realtor in your location that handles short sales and knows what they are doing! I have referred short sales to other Realtors all around the country. About the author: The above Real Estate information on Short sale negotiations – seller cash contributions was provided by Bill Gassett, a Nationally recognized leader in his field. Bill can be reached via email at billgassett@remaxexec.com or by phone at 508-435-5356. Bill has helped people move in and out of many Metrowest towns for the last 25+ Years. Thinking of selling your home? I have a passion for Real Estate and love to share my marketing expertise! I service the following towns in Metrowest MA: Ashland, Bellingham, Blackstone, Douglas, Framingham, Franklin, Grafton, Holliston, Hopkinton, Hopedale, Medway, Mendon, Milford, Millbury, Millville, Natick, Northboro, Northbridge, Shrewsbury, Southboro, Sutton, Wayland, Westboro, Whitinsville, Worcester, Upton and Uxbridge MA. Bill Gassett is a thirty-two year veteran to the real estate industry. He enjoys providing helpful information to buyers, sellers and fellow real estate agents to make sound decisions. His work has been featured on RIS Media, National Association of Realtors, Inman News, Placester, RESAAS, Credit Sesame and others. He was the #1 RE/MAX agent in Massachusetts for 2018. I’ve had problems with the cash contribution aspect of this..perhaps it’s different in NH, or depends on the lawyer and/or closing company we deal with in this process. So lets say the lender asks for $10,000 cash and the seller cannot, or will not, pay it. The buyer can pay it, and it’s put on the HUD, as you noted. OR You relist it with the additional $10,000 to be paid, noted in the comments? Then you have to explain it to the closing agent and/or the lawyer how to draw up the HUD. Typically isn’t this extra money going to the mortgage insurance, that’s why it needs to be separate? Hi Jen – thanks for the compliments on the short sale article. Yes most lenders will let the buyer pay the fee as long as it’s disclosed up front in the contract. On occasion they will let the buyer pay the fee when it is not done so upfront in the contract but that is more rare. I have a short sale attorney who handles all my files. They are outstanding at what they do. If you have an attorney handling your files I would think they would know how to make this work on a HUD. The funds don’t necessarily go to mortgage insurance. There are many short sales where there is no mortgage insurance involved. Bill: As always, great article. As someone who exclusively negotiates short sales, I agree that the trend in short sale negotiation is shifting towards lenders demanding a cash contribution or promissory note at closing. On a positive note, however, most lenders have negotiated blanket settlements with a majority of the Mortgage Insurance (MI) companies so we no longer have to obtain independent third party approval. In consideration, however, lenders are asking “qualified” homeowners to “share in the loss.” As you correctly pointed out, qualified homeowners are defined as those who have funds in the bank or are yet to miss a mortgage payment. In the case of Bank of America, they now have a policy in all recourse states, such as Massachusetts, requiring a cash contribution in consideration of waiving the deficiency. I have been successful in getting this requirement waived, but this is one more thing we negotiators need to fight for. A good short sale negotiator should be able to provide the homeowner with an estimate of what their lender(s) are going to demand as payoff amounts, including contributions, at the beginning of the short sale transaction. This way, you don’t have any surprises 60-90 days into the short sale approval process. I enjoy short sales because the industry is changing everyday. Just when you think you understand the process, the lenders change their policies and procedures. The cash contribution is certainly one of the emerging trends, especially in recourse states. Excellent article! Please see my article on pricing strategies that directly ties in with handling buying out deficiency with a contribution. Thanks for your compliments on my short sale article Joe. Not all short sale negotiations succeed do they? I’m assuming the banks may want to get more at auction. Hi Fred – With an approved short sale in place. I have never had a lender pull out the rug and foreclose on the property. I have had two occasions where I had short sale approval and the buyer backed out. Just wanted to comment on the great insights by Andrew above. I think the anti-deficiency laws of the particular state you are a major factor in the equation as far as contributions or promissory note required from seller. I am in Oregon where we have very strong anti-deficiency laws and based on your article above I talked with the Short Sale Professional that I work with here and he said that in general he is not seeing requirements for cash or prom note from seller except that BofA asks for 5K every time and then drops it when you push back. Talked to another short seller here and she said sometimes Wells asks for contribution that doesn’t make sense in our state when it is clear the law would not allow a deficiency. I would like to know what other factors besides – “sharing in the loss” and “we could get a deficiency if we foreclosed” might appropriately justify seller obligations in the short sale. Michael you are correct the rules of the short sale game can change depending on the state your are located in. Want to work with a dedicated, knowledgeable Realtor? Click the MLS Property Finder icon to sign up to receive MLS access for all homes, condos, land and other Real Estate for sale in Massachusetts. Beat other buyers to your dream home. See all new homes entering the market at the same time REALTORS do! Copyright Bill Gassett ©, All Rights Reserved.